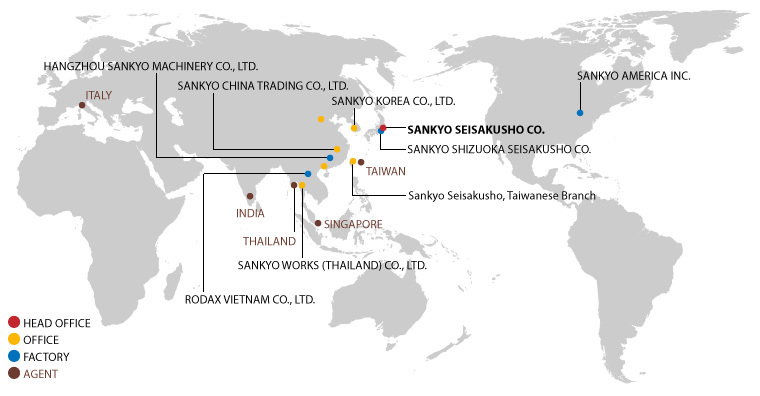 Global network | Factory Automation in Thailand - SANKYO WORKS (THAILAND) CO., LTD.
10655 State Route 47 Sidney, Ohio, 45365 U.S.A.
HANGZHOU SANKYO MACHINERY CO., LTD. 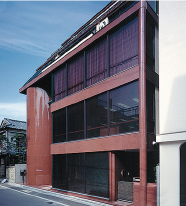 The Japan Chamber of Commerce and Industry of SankyoCo., Ltd. units bay branch. SANKYO CHINA TRADING CO., LTD.